You bought how many more tarantulas? FIFTEEN? 15? How many does that make now? Yes. Fifteen. Really. That makes 59 tarantulas and one true spider. A fellow Texas collector had to thin down his collection. He knew the Ts were going to a good home, and I got some great Ts. 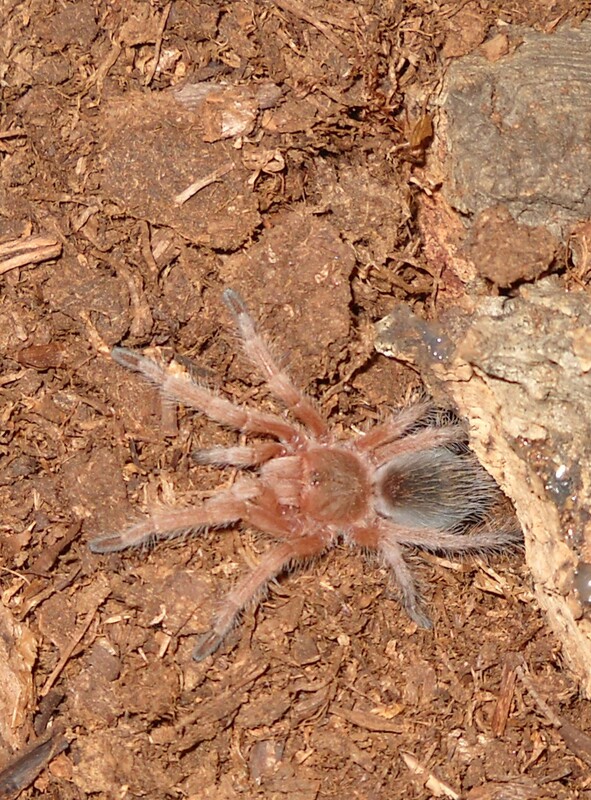 Four adult female G. roseas (Chilean rose hairs). 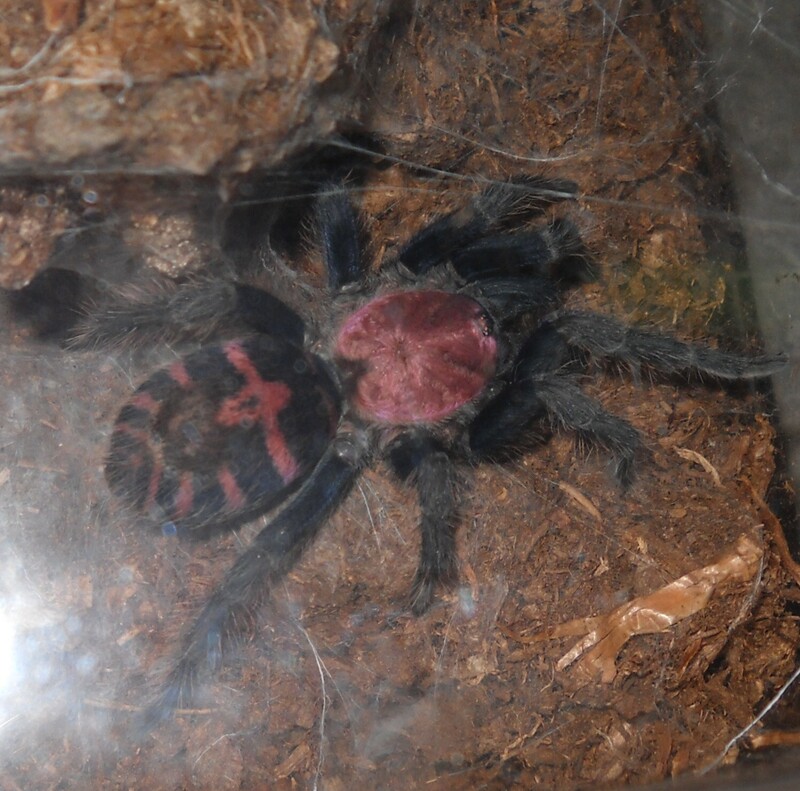 One juv male RCF G. rosea (Red Color Form). Two Costa Rican Tiger Rumps (C. fasciatums). 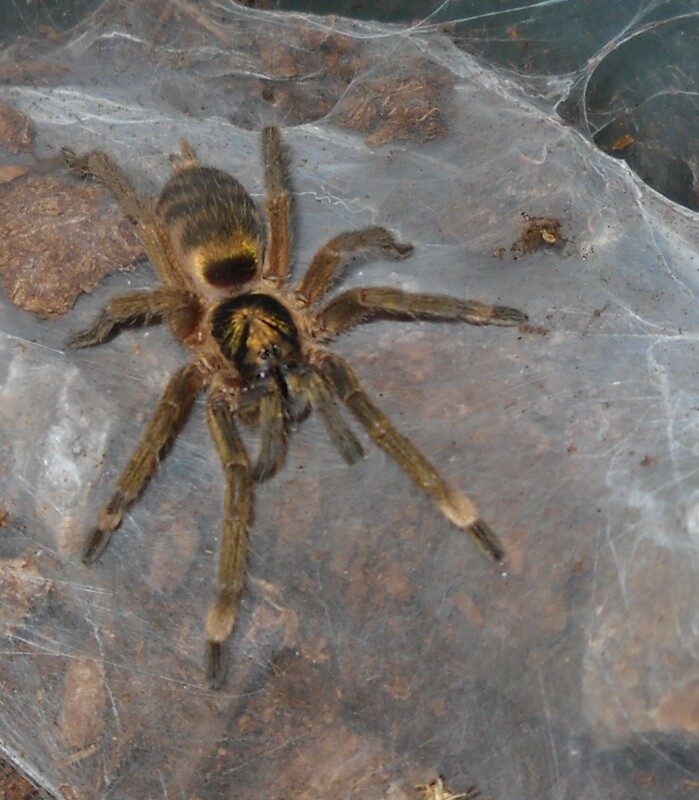 A P. pulchar, a dwarf species ( H. incei0, and an E. murinus (skeleton). Then there are the five baby rosie slings, all with their containers. Oh yes, I love them all. Aphrodite, one of the adult females. Absolutely lovely, thus her name. 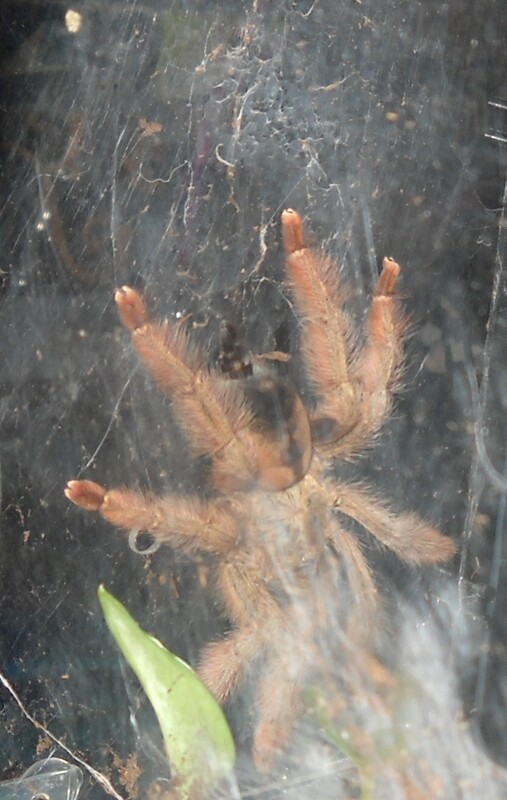 Dulcinea, the female C. fasciatum. Cervantes, the male, is holed up in his burrow, presumably molting. I know he's in there, just hasn't put in an appearance. Cookie Monster, the tiny little H. incei. 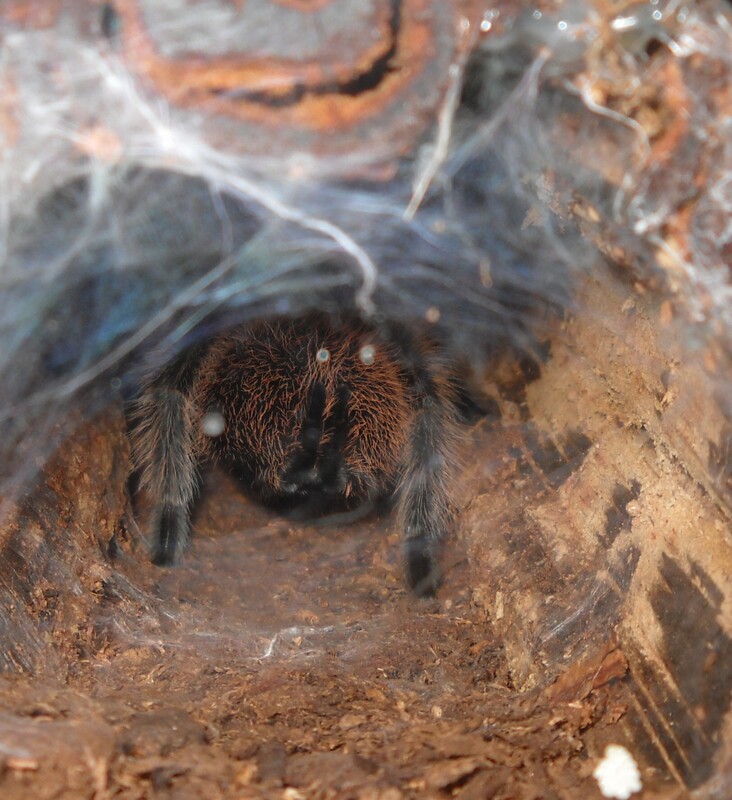 This species only gets to about a 3" legspan, and she's about 1 1/2" DLS (diagonal leg span). Looks like velvet, doesn't she? 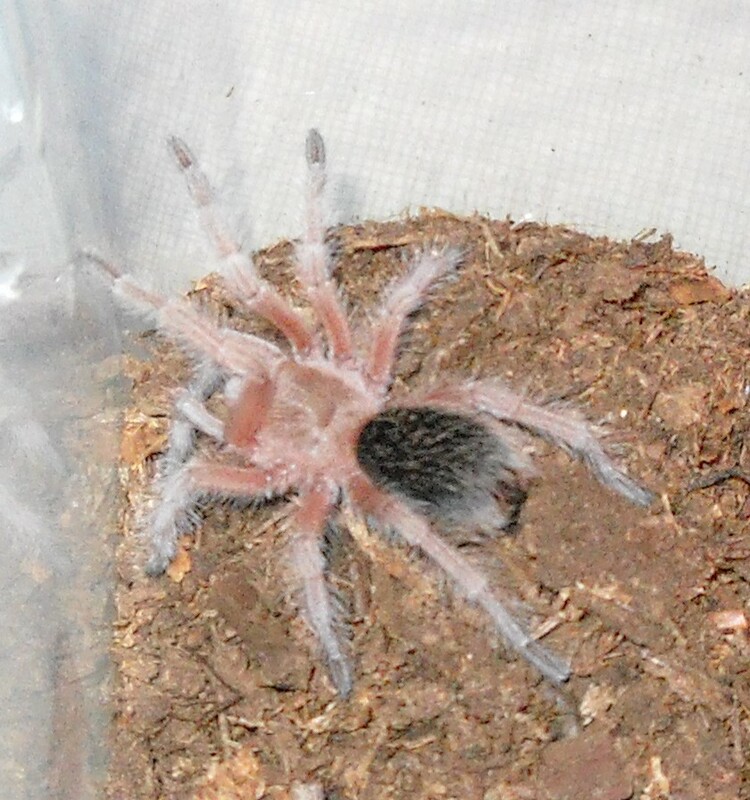 Satine, one of the five baby rose hairs. While they all look pretty much alike, Satine is fractionally the smallest of the lot. I haven't sorted out which of the photos belongs to whom yet, but their names are: Satine, Stacatto, Scamper, Scurry and Scaramouche. Glenwing, the RCF rose hair. 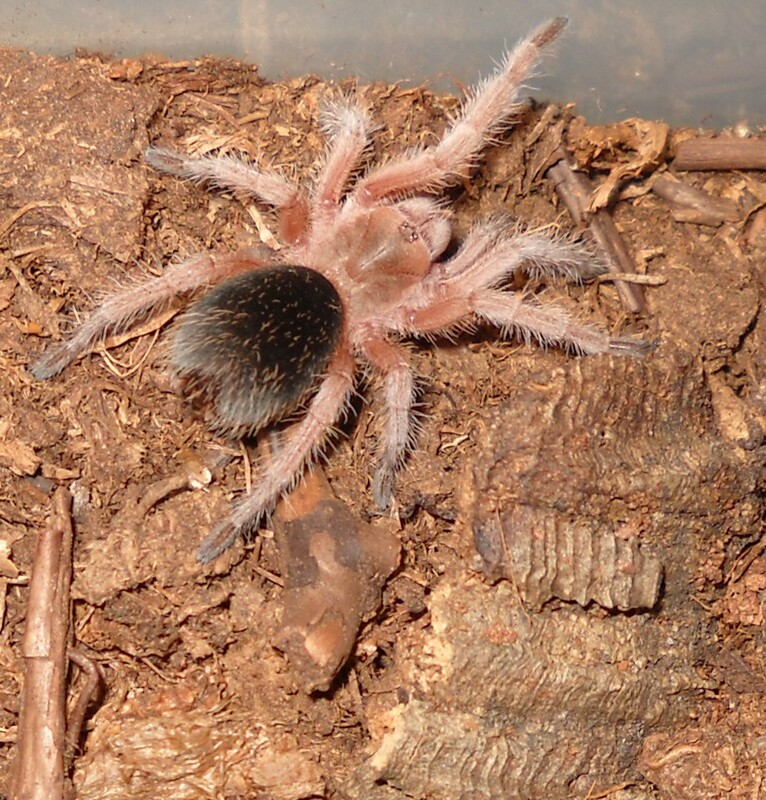 I decided this one can be Myryha's spider too, that way later she'll have a pair of the pretty coppery-shaded G. roseas. She named him after a character in one of her books. Go figure. No, not my kid (LOL). Serafina, and thus far the only view she's given me... Orellana is the fourth female rose hair, havne't got her photo up yet. Scurry, another of the babies. 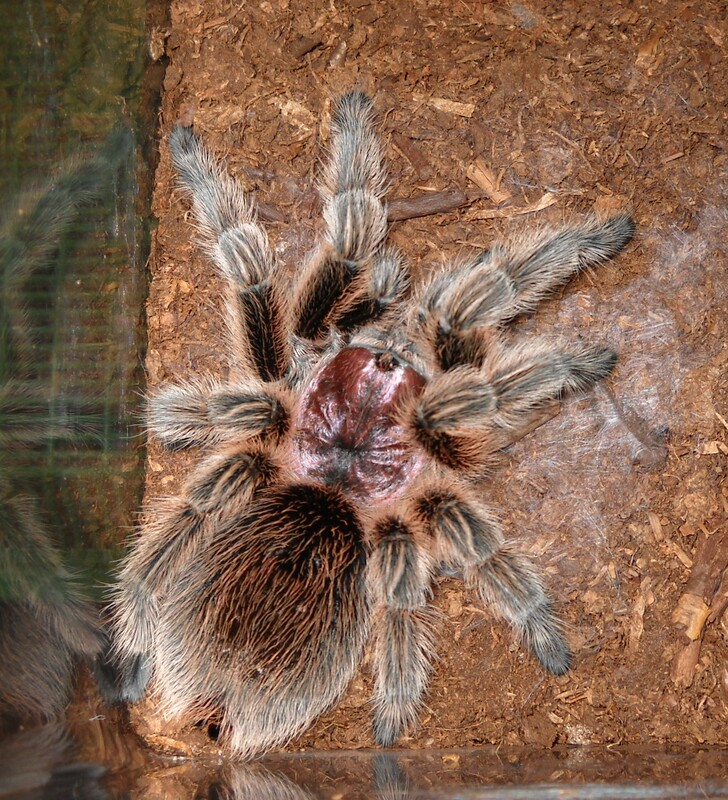 There are two more G. rosea slings, but I am not 100% certain I've got the photos sorted and labelled. Suffice it to say, thre three you see look pretty much alike - so do the other two. Stacatto, number three of the five baby rose hairs. And then there is Fizzgig. Yes, she's named for that creature from The Dark Crystal. She looks like some kind of stuffed toy, and she has an attitude! Threw threats and struck at the door first time I opened it. Runs circles around her enclosure. She also gets a "caution" note on her tank. 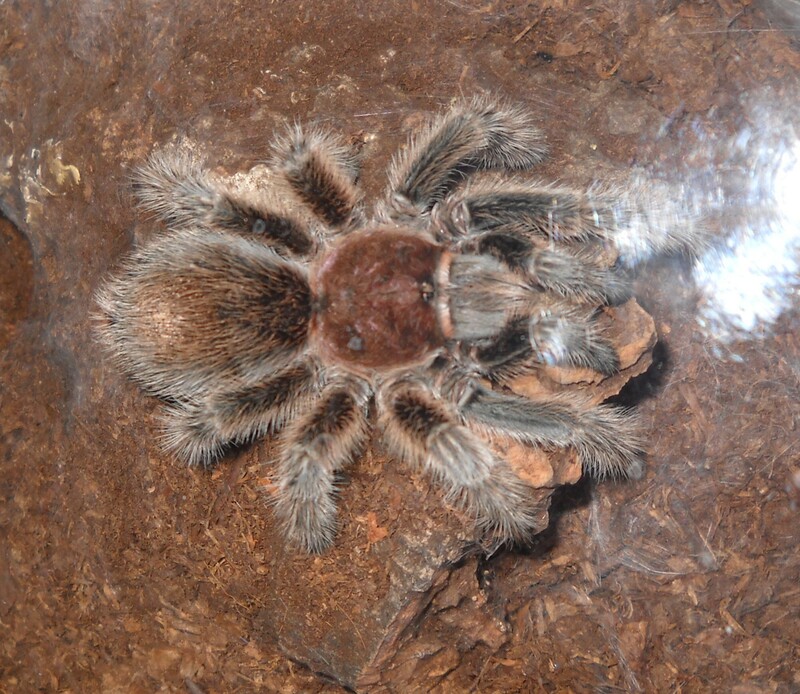 She's a P. pulchar, and she's fascinating!!! Two of the rosie babies, Scamper and Scurry, went to friends. Jackie, Cookie Monster, and Fizzgig were sadly lost during the freeze. I am very sad about Cookie, whom I had developed a little feeding routine with, and devastated about Fizzgig.